FULLY SERVICED!! NO ACCIDENTS! Sierra SLE 1500 with 4x4 & Z71 package! Loaded with features such as; bed cover, bed liner, tow package, fog lights, keyless entry, aux. input, satellite radio, onstar, dual climate controls, new tires and more! 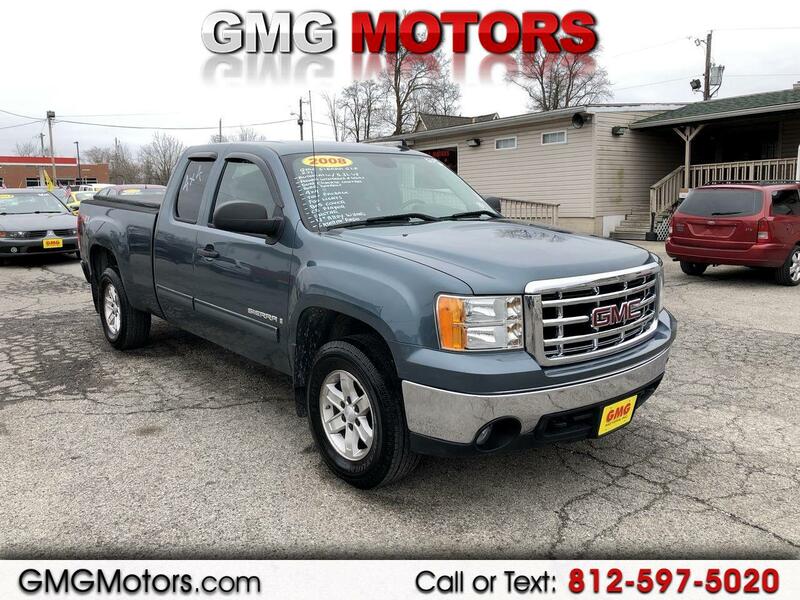 $2500 down payment GMG Motors is located at 50 N Marion St Morgantown, IN 46160 or call us at 812-597-5020. We look forward to doing business with you!